As a small business owner, few things are more important than keeping track of expenditures and income. Though large enterprises may stay afloat, small businesses can’t swallow minor mistakes that change their accounts unexpectedly. Small business owners have plenty to keep track of and manage. Accounting isn’t something that they should neglect. Failing to keep track of expenses, accounts receivable, and other aspects of finance can have drastic repercussions—especially when tax time rolls around. Thankfully, managing small business finances is not terribly difficult in most cases. Owners usually can perform their own accounting and forego the cost of hiring an outside professional to track the books. Use a separate bank account for the business. While setting up a separate business bank account and business credit card may seem like an unnecessary use of time, doing so allows the owner to easily differentiate between business and personal expenses. Keep track of all expenses. Every single expense, no matter how small, should be recorded as part of the official expenditure record. Each expense also should be labeled and categorized for tax purposes and easy locating when necessary. Record each deposit. Tracking deposits is as important as tracking expenses. Whatever the source of the money—loans, sales revenue, rebates and refunds, etc.—record the amount and source, and then add it to the books. Develop a bookkeeping system. Bookkeeping is an essential part of accounting. It’s the act of recording, categorizing, and storing transactions on a daily basis. Bookkeeping can be done with simple spreadsheets or specialized accounting software, such as QuickBooks, Wave, or Xero. Dedicate time to bookkeeping. It’s incredibly easy for a small business owner to become overwhelmed in the daily rush of things. However, even a lapse of a week or two can make it nearly impossible to properly reconcile accounting books. An owner must set aside time at least once a week, preferably more often, and focus on the books at that time—and nothing else. Manage payroll. Even if your only employee is yourself at the beginning, establishing proper payroll procedures is vital for a small business. Payroll usually becomes one of a company’s largest expenses incredibly quickly. Establish a system for tracking logged hours, overtime, employee benefits, etc. Record invoices and follow up on them. A small business owner must follow up on his or her accounts receivable. This does not make him or her a bother to clients. It makes him or her a smart owner and a smart accountant. An invoice does an enterprise little good until it’s actually paid. Tracking when invoices are due and making sure that they’re settled are important parts of accounting. Know when to hire a professional. Doing most of one’s own accounting is a good practice for a small business owner, but there are times when hiring an expert is necessary. Tax preparation and filing is the biggest reason to hire an accountant. Additionally, an account can help catch up books that have fallen behind. 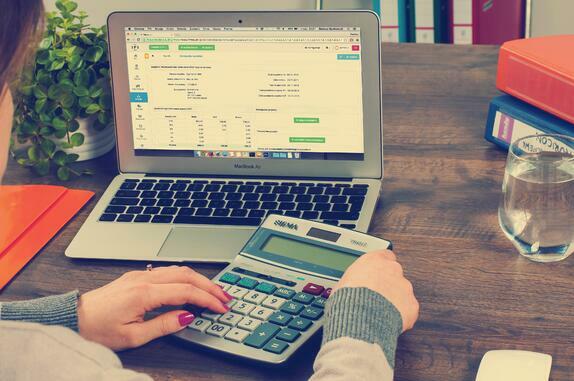 Accounting isn’t too difficult for small business owners, and its importance can’t be overstated. Often, it simply comes down to recording and categorizing expenses and deposits on a regular basis. Make it a habit; by following the above tips, a small business owner can easily do his or her own bookkeeping. Unless a situation warrants the help of an expert, this will cut back on the expense of hiring an accountant.